Thank goodness it's Friday! Well, this week has been productive with regards to my kitchen renovation project. My dishwasher was installed and my electrical work was done. I haven't had a chance to run my dishwasher yet but plan to do so tomorrow. The only thing left to do is get my backsplash tile installed and do the little bit of painting that needs to be done. Tomorrow I plan to put the rest of the kitchen stuff away that now that all the work in the remaining 2 cabinets is complete. At the moment, we are undergoing a torrential thunderstorm. We made a late night jaunt to Sprouts this evening but I was too tired to do much shopping so we'll go back again tomorrow...yay! 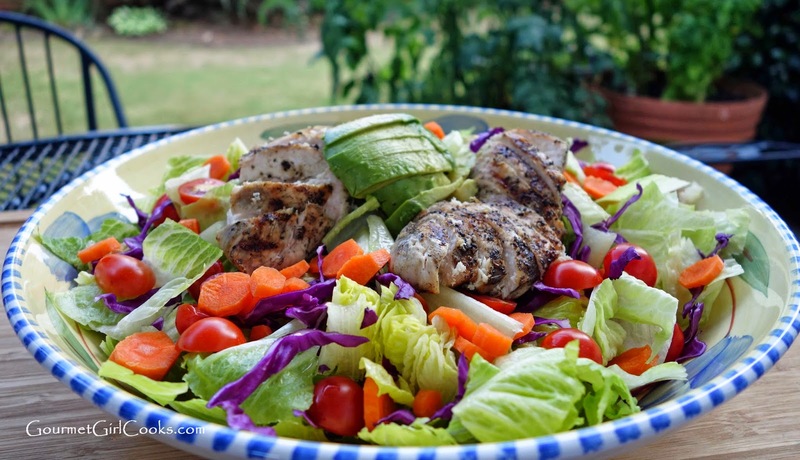 For dinner this evening I made quick and simple main dish salads topped with grilled boneless chicken breasts. It was simple, quick and delicious. I snapped a couple photos below. Enjoy! 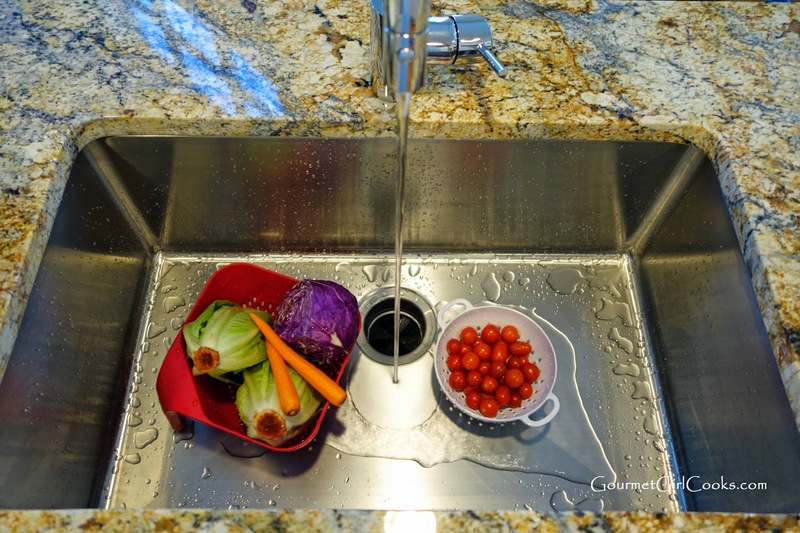 Love my new sink...it's huge and deep. There's nothing I can't wash in here! That's exactly what I have planned for tomorrow. It's the perfect hot summer day dinner. Your salad is beautiful! 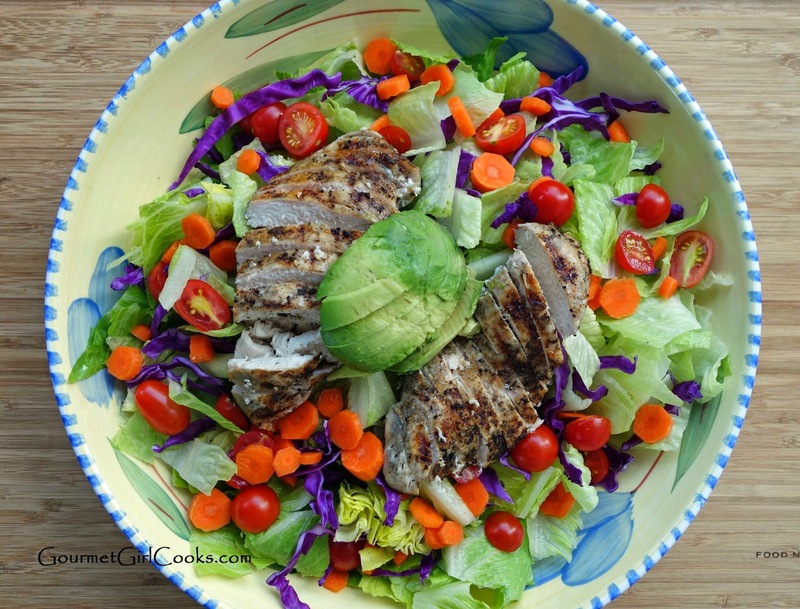 Chicken Coleslaw Salad - Quick, Crazy & Good!